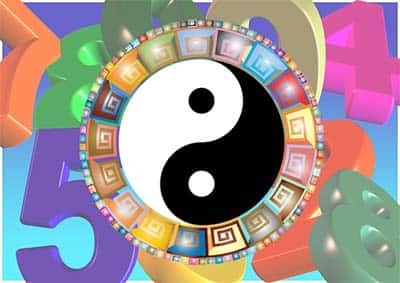 As always, all the things that are connected with Feng Shui are separated into Yin and Yang. All individualities are even, friendly and happy. It is essential that both elements were present in equal amounts. Thus, it will be easier to reach harmony and balance. In each date of the birth, house number and so on, there are always present both these principles. • Nine (9) - as "longevity". There are differences between the interpretation of the digit combinations in Asian countries and the Western traditions. In the West, people define the value of the sum of the digits by the reducing to one digit only, in the meanwhile, in Asia, people approach each digit individually and their meanings differ. For instance, 58 means that there is no money, while 68 means the contrary value of much money. If talking about the meaning "winning", it is hidden in the value of 18. The number "four" is not associated with something bad or deadly like in the West. Among Asian nations, it is referred to a good fortune, education, sexual life, and love affairs. Accordingly, the combo of the digits 4 and 8 will not be something like "deadly money", but "great riches". Four is referred to great, responsible and honest laboring. Therefore, the earning of 48 is the wealth, which was honestly earned by hard, backbreaking work. Now, let's have a closer look to the Chinese interpretation of the numerology. It is pretty different in comparison to the mentioned above language method. Each number is a "symbol". Every number symbolizes some quality of life or character, a real sign of luck, strong will or happiness. • 9 - love relationships. As you have already guessed, while purchasing a house, you can use the meanings of the numbers for an exact forecast. For instance, its number will be 283. This means that it will be filled with love and affection (2), financial stability and fine income (8), and a tremendous happiness and joy (3).